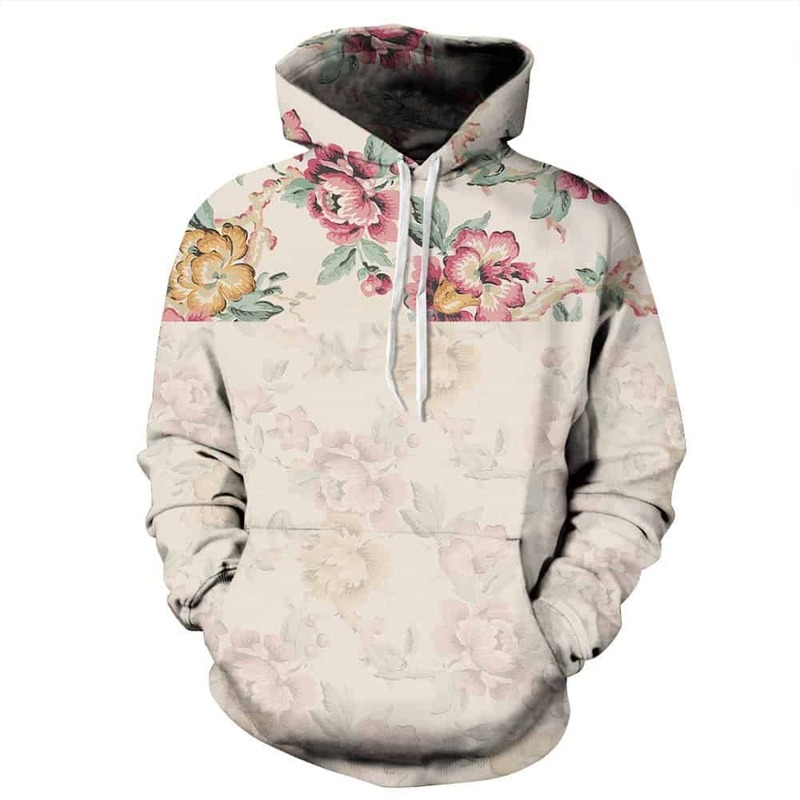 A cool subtle floral pattern hoodie. The bottom half of the hoodie is faded while the top half is not. The floral pattern is made up of majestic red and orange flowers with green leafs. The floral pattern is really stylish. The hoodie is comfortable to wear, looks fashionable and is wearable anywhere. It was designed for both male and female.